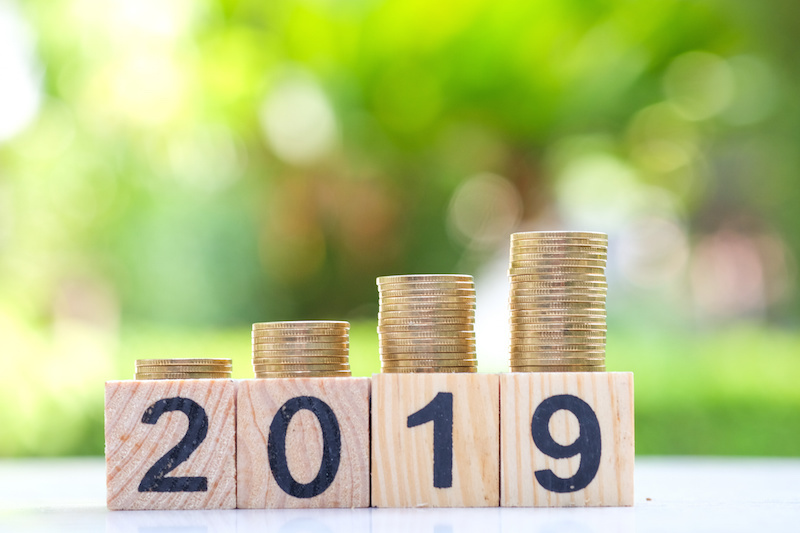 The beginning and end of any financial year bring in a lot of action on the monetary front for any company and its employees. If you’re a salaried person, you would know that the first quarter (April-June) of a fiscal year is the time when your employer would ask you to declare all the tax saving investments you intend to make in that year. Based on the investment declaration given by you, your employer will deduct income tax in the form of TDS (Tax Deductible at Source) from your salary monthly. You need to submit your investment declaration so that you can qualify for a tax rebate as per The Income Tax Act, 1961. The investment declaration is made on Form 12BB. During the last quarter of the year (January-March), you are required to submit all the investment proofs in support of your declaration. In case you fail to do so, your employer is bound to deduct excess TDS from your salary before the year-end. In this post, we discuss some important things that you must know before you make your investment declaration for FY 19-20. The first and foremost rule is to submit the investment declaration to your employer on time, preferably before you receive your first salary (of the new financial year). In case you're unable to do so, and you end up paying extra tax, you can claim a refund only after filing your ITR (Income Tax Returns) next year. Not only do you have to wait so long to claim the refund, but it can be a tedious process as well. Alternatively, you can request your employer to adjust for excess TDS deducted in the subsequent months’ salary. To avoid this hassle, it is better to submit your investment declaration on time. The final investments can be made till the end of March and are claimable directly in the ITR. Nonetheless, it is always more convenient to plan your investments in advance to get the calculations done by your employer. A lot of taxpayers usually decide their tax investments in March itself so that it's easy to remember. You should write down all the past investments which will be carried forward to the next financial year. These can include your investments in instruments such as life insurance, PPF, national pension scheme, health insurance, ULIPs, equity-linked savings and more. Because life insurance premiums usually stay the same and health insurance premiums usually increase by a fraction of your age, you must mention these amounts in the investment declaration. All other persisting investments should also be noted down. It is completely up to you if you want to invest the same amount or you want to increase it. Keep your contributions to the minimum in case your financial goals have changed. The investment declaration is submitted at the beginning of the financial year, and the investment proofs are submitted towards the end of the year. In most cases, it so happens that we do not end up investing as per the initial declaration. For e.g., in case you prepay your home loan in the middle of the financial year, but you are still availing tax exemption against your home loan EMI (as per your initial declaration), then you need to either invest the same amount in an alternate tax saving instrument or pay additional TDS due before the year-end. For your convenience, it's best to avoid any discrepancy in the declaration and the actual investments. A claim for a tax deduction can be made on account of home loan repayment and many other expenses such as tuition fees of children, house rent, and donations to notified charities. Only the tuition fee is granted as a deductible expense. Payments which are made under the heads like ‘Refundable Deposits’ and ‘Development Charges’ are not permissible. Do not forget to mention these expenses while submitting your investment declaration. Sure, tax saving should be your main objective, but definitely not the only one. You should go for a tax saving instrument according to your financial requirements. Investments like Equity-linked savings schemes (ELSS) and Unit Linked Insurance Plans (ULIPs) may help you save tax and even offer tax-free income. However, the returns are not fixed and neither assured as their performance is highly dependent on the performance of equity markets. Also, it is not wise to invest in ULIPs if you want to exit the plan after 5-7 years. Fixed deposits have been a time-tested and risk-free investment option. They offer assured returns which are pre-determined at the time of investing. Besides, some fixed deposit schemes also let you save tax under section 80C. You can also raise a loan against FD at a lower rate of interest in times of financial emergencies. Among prevalent choices, Bajaj Finance Fixed Deposit stands out for its rating, competitive interest rate, flexible tenor, and periodic interest payouts. You can use Online FD Interest Rate Calculator to calculate your returns. Ladder your investments with multiple FDs starting at INR 25,000. Hassle free online application process and online account access via Experia give you the convenience to manage and track your FDs from the comfort of your home. Do you know that the Income Tax department has full authority to reopen your case for scrutiny anytime within a period of six years from the end of an assessment year? Well, if you don’t then let us tell you that it’s important that you maintain a record of your tax documents to avoid any issues at a later date. For instance, keep copies of your Form 16, rent receipts for HRA deduction, proofs of loan repayment or investments (such as medical/life insurance payment receipts) handy.